I founded KRAV-MAGA Stability in Motion school in 2012, in Cluj-Napoca, Romania. I am the first Krav-Maga instructor in Romania, since 2004. I am the only instructor of Krav Maga in Romania certified by the prestigious Wingate sports institute in Israel, in 2011. 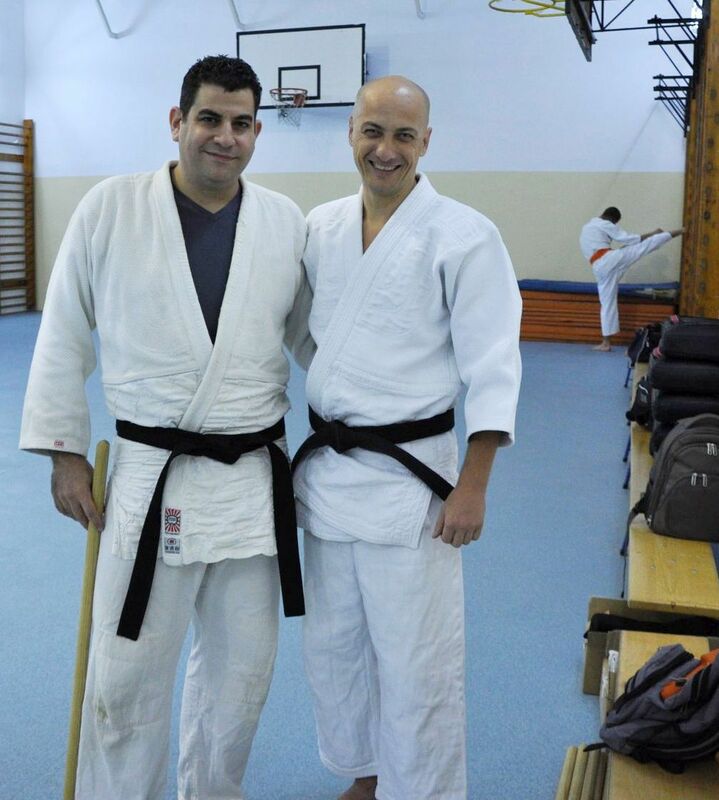 I own the first black belt awarded to an instructor in Romania by Yaron Lichtenstein, since 2012. I have over 16 years of learning and practice in Krav-Maga and over 31 years of experience in martial arts. I have practiced Shotokan, Kyokushin, Wushu, Aikido, Judo and Systema. I am a Trainer and Personal Development Advisor accredited by ANC (National Authority for Qualifications). I am an Adanced Bowen Therapist and Reiki Therapist. I am a mechanical engineer, programmer and web developper. On December 12th, 2012 I founded the KRAV-MAGA Stability in Motion school, to have a more flexible and efficient framework for training. I teach weekly classes and intensive courses of Krav-Maga and self-defense. I taught weekly classes and intensive Krav-Maga course in Cluj-Napoca under the BUKAN School of Krav-Maga umbrella. I trained through weekly classes over 400 students and 4 instructors, I organized 5 belts exams, 3 courses for training instructors and 2 national workshops, I facilitated the opening of 7 new branches of BUKAN School of Krav-Maga in Romania. Black belt diploma awarded by Yaron Lichtenstein in November 2012 in Rio de Janeiro, Brazil. 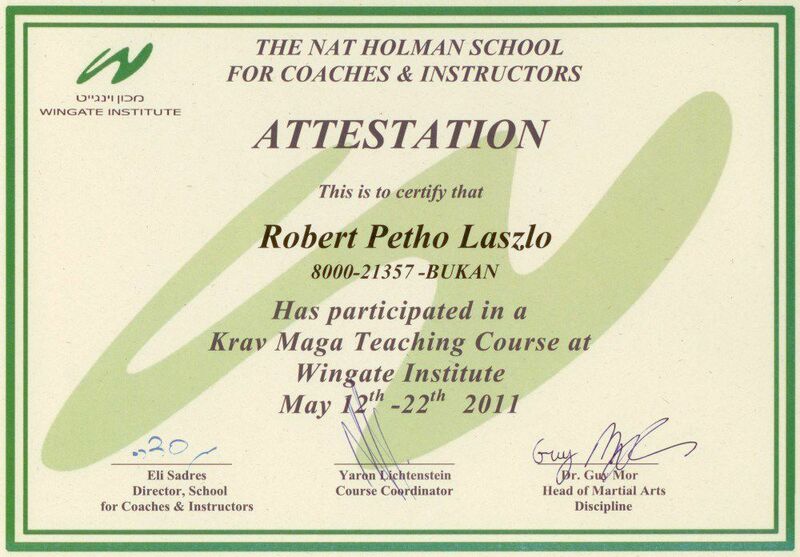 Graduation of the training for Krav-Maga Instructors organized by the Wingate Institute from Israel in May 2011. 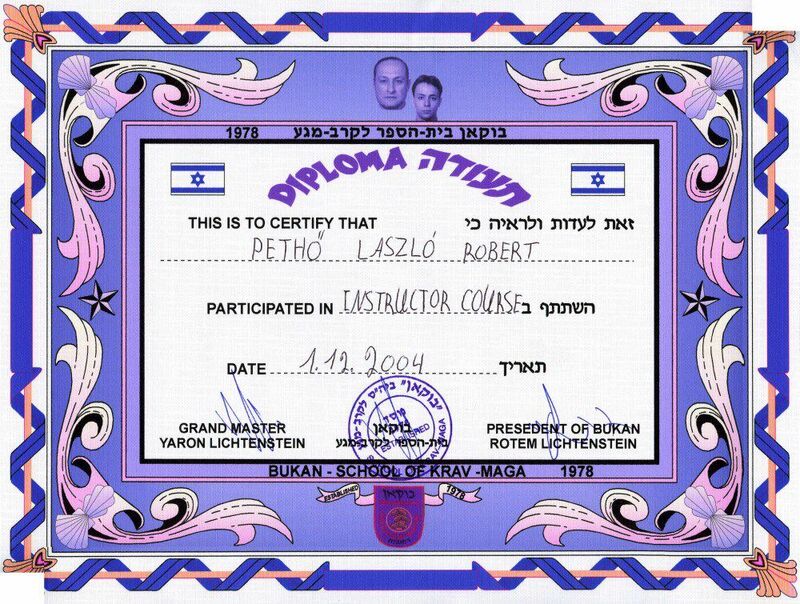 Instructor diploma awarded in December 2004 by Yaron Lichtenstein, following a 2 years continuous and intensive training with Onn Chen. No martial art and no master owns the absolute truth. No instructor knows and can teach all aspects. Therefore I like to learn from people of value, whatever the martial arts they teach. In addition to Krav-Maga, over time I practiced Shotokan, Kyokushin, Wushu, Aikido, Judo and Systema. I was lucky and honored to meet special people with exceptional technical skills, but also with a beautifull character - true representatives of the martial arts. 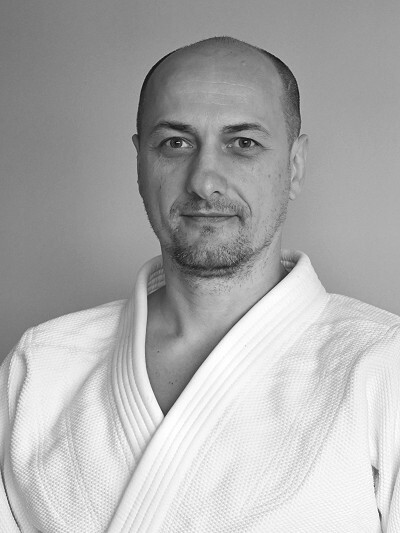 Instructors: Shihan Yukimitsu Kobayashi (7Dan) etc. 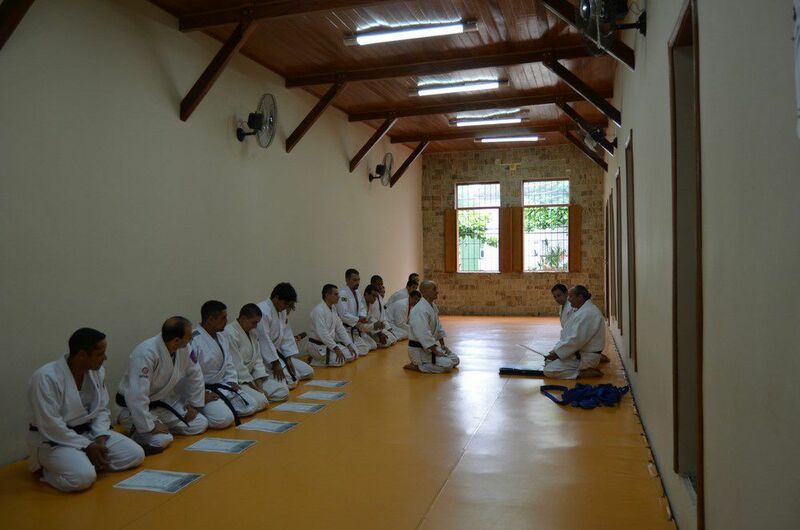 Each instructor learns and improves teaching. During the course of over 14 years as instructor of Krav-Maga I taught thousands of hours of weekly classes and dozens of intensive courses. I am grateful to the over one thousand students who - through their questions - challenged me to find explanations and see Krav-Maga trough different perspectives. 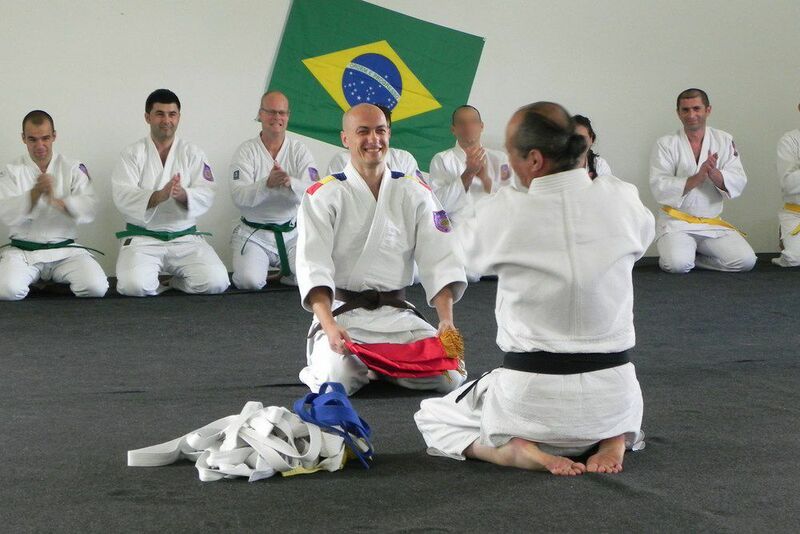 László receives his black belt from Yaron Lichtenstein in November 2012, in Rio de Janeiro, Brazil. Yaron Lichtenstein gives László Pethő the flag of the BUKAN School and the brown belt in June 2010, in Cluj-Napoca, Romania. Onn Chen, Yaron Lichtenstein and László Pethő at the end of an intensive course in July 2009 in Goiania, Brazil. 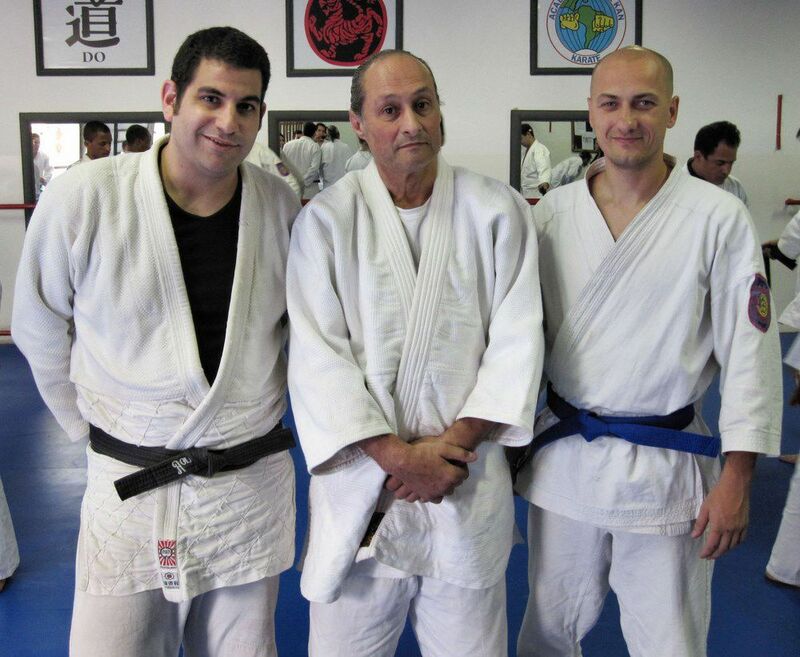 László receives the blue belt.